For the past two years, the Alamance-Burlington School System (ABSS) has worked with Participate Learning and the state of North Carolina to help improve inequity challenges often posed in schools with dual language immersion offerings. Schools operating dual language immersion programs often suffer from a ‘school within a school’ culture, as the intensive program is usually only offered in a few classes, leaving other classrooms without this language or cultural lens. Starting with Davern and Elon Elementary, ABSS Superintendent Bill Harrison began integrating global themes, training and classroom lessons throughout the school, ensuring all students and teachers receive a meaningful global experience, no matter if they are part of the dual language classrooms. 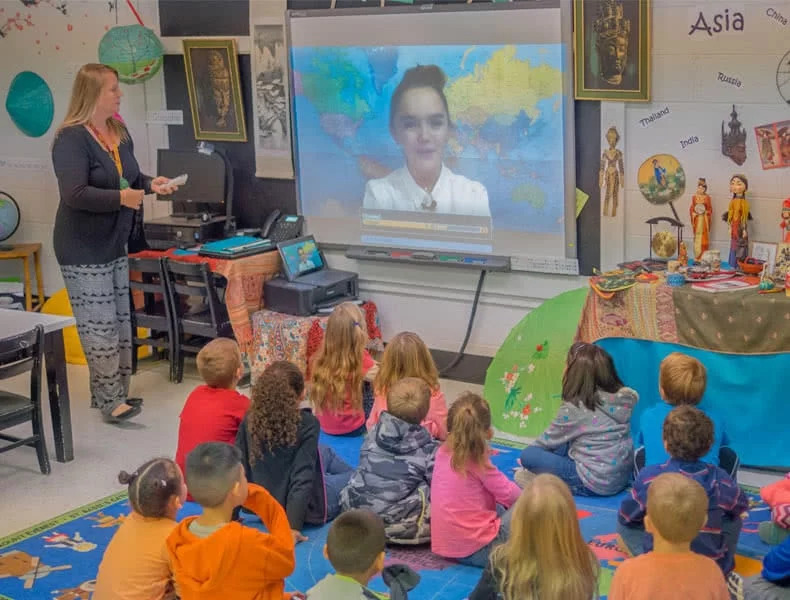 “As we got more into it, we realized that the [global components] were a vehicle for teaching the standards and for really engaging students in the curriculum,” said Sue Cauley, academic coach at Elon Elementary. Because the global education addition so unified Elon’s students, teachers and parents, ABSS expanded the model to its other five dual language sites in the district, and has experienced similar results. Interested in learning more about our schools program? Visit our Partnerships page or contact us – we’d love to hear from you!